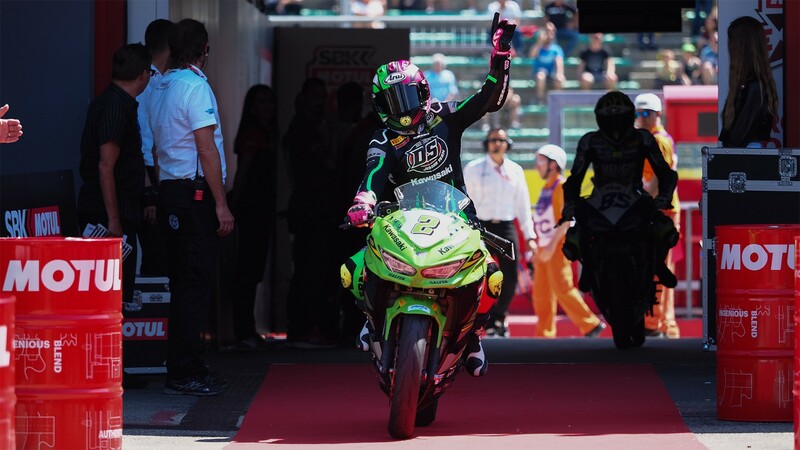 Ana Carrasco (DS Junior Team) has taken her first win of 2018 and second of her FIM Supersport 300 World Championship career at the Autodromo Internazionale Enzo e Dino Ferrari di Imola, with the most dominant display of the season so far. Incredibly fast all weekend, the Spaniard also becomes the new championship leader after three races, after Scott Deroue (Motoport Kawasaki) crashed out in the final lap. Right from the start, Carrasco gave no option to her rivals, shooting out from the lights. 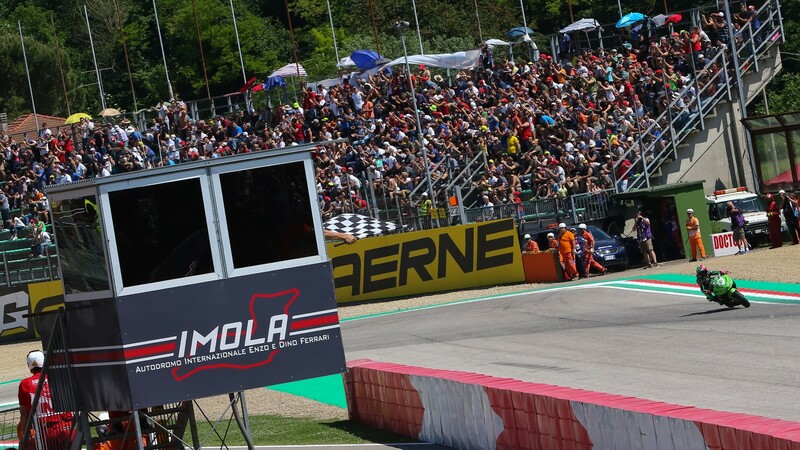 The DS Junior rider had shown in yesterday’s Superpole how comfortable she is riding alone around Imola, and it showed here: by the end of lap 1 she was a whole 2 seconds ahead, and by the end had opened a 13 second gap with the rest. With the Murcian so far ahead, the usual scrap to the line continued for second, with eight riders fighting for two podium places down to the end. Deroue was the only rider to bow out before the end, losing his front end at Acque Minerali when he was second. The Dutchman out of the fight, it was Borja Sánchez (ETG Racing) making it a Spanish one-two with his first podium finish of the campaign. Sánchez had come in just behind wildcard Kevin Sabatucci (PROGP Racing), but in a twist of fate, the Italian was sanctioned with one position by Race Direction (last year Sánchez had his third place demoted to fourth after the flag). 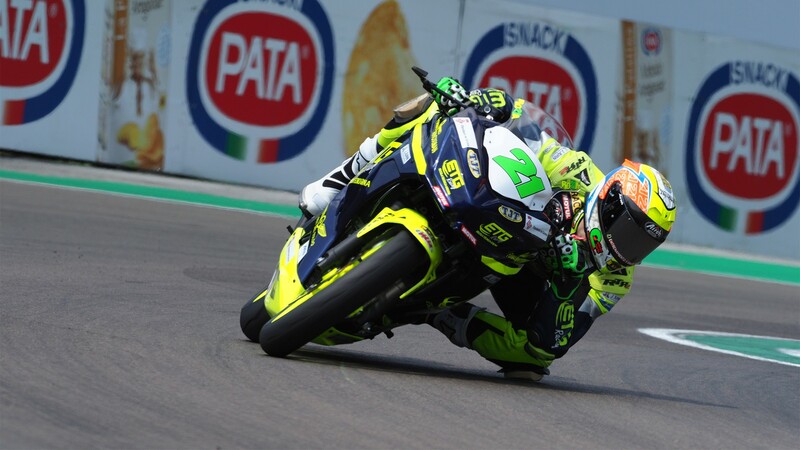 Still, the Italian managed a fantastic third on his WorldSSP300 debut. 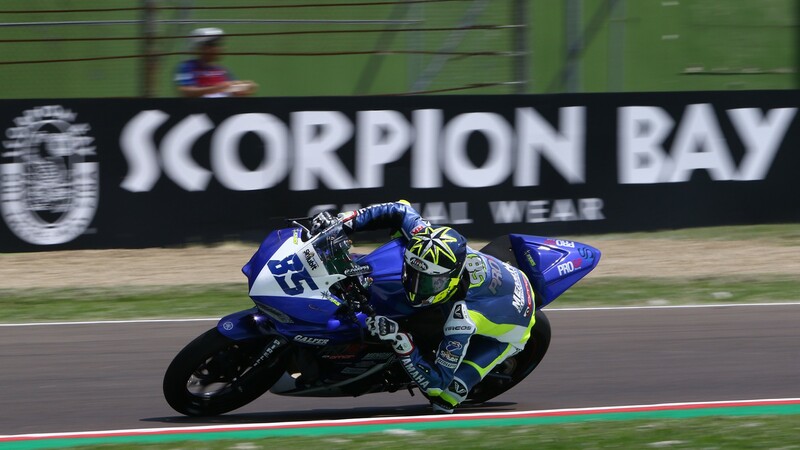 Behind them, Luca Grunwald (Frendenberg KTM WorldSSP Team) continued his good form with fourth place, with Galanig Hendra Pratama (BIBLION YAMAHA MOTOXRACING) taking fifth. 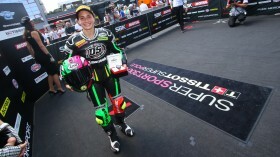 Jan-Ole Jähnig (Freudenberg KTM Junior Team) finished in sixth position, with Maria Herrera (BCD Yamaha MS Racing) scoring her best finish in WorldSSP300, climbing up from 19th on the grid to seventh. 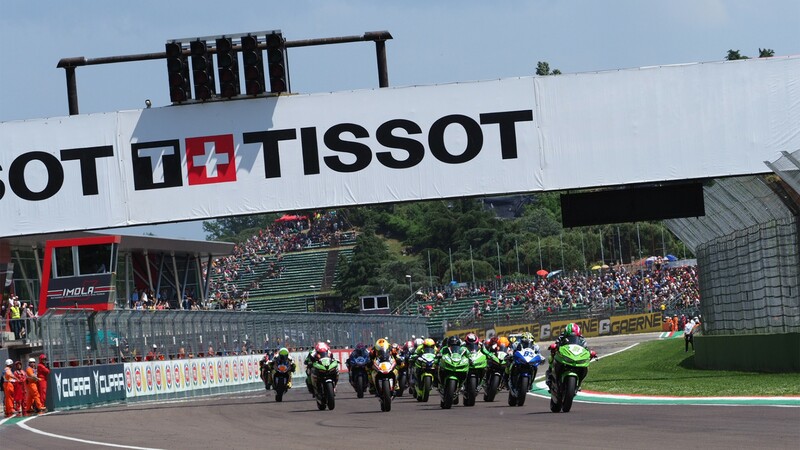 There’s more WorldSSP300 frenzy coming in just two weeks, at the legendary Donington Park Circuit! 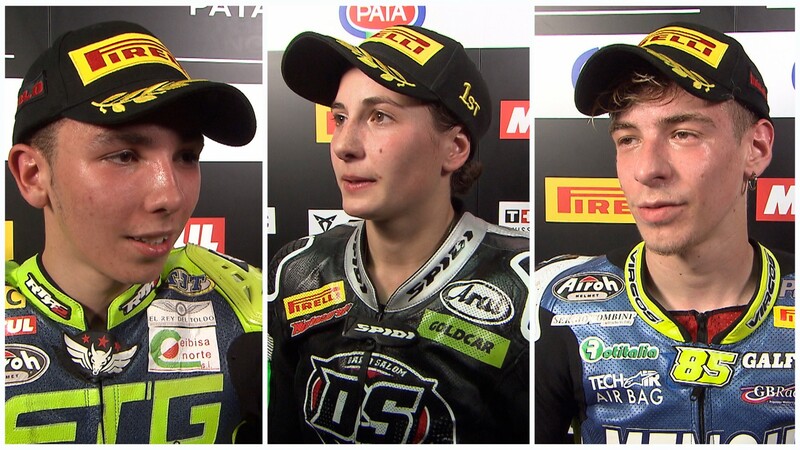 Don’t miss out on any of the excitement, thanks to the WorldSBK VideoPass.